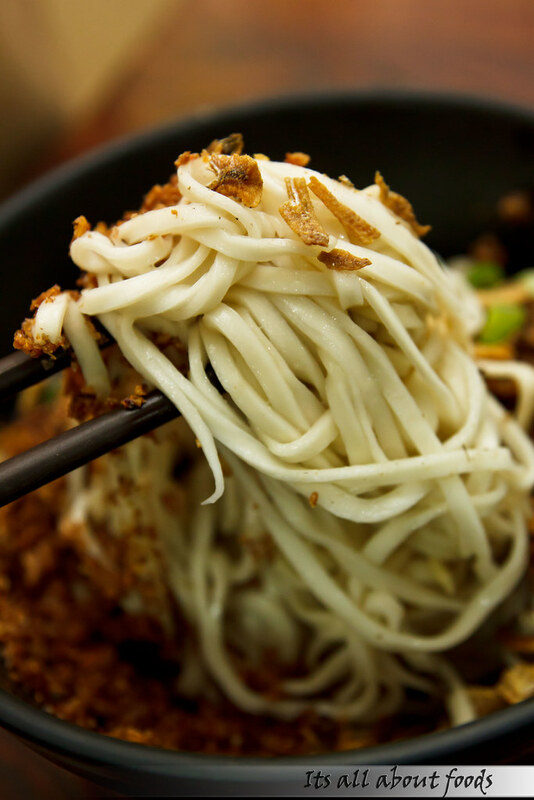 From clear soup pan mee, dry pan mee, loh pan mee, curry pan mee to stir fried pan mee, and now the chilli pan mee, those running pan mee business have been innovative enough to create more and more types of pan mee, and the varieties are still growing. The Super Kitchen Chilly Pan Mee, which is famed for their chilli pan mee for long, doesn’t focus on variety grows but concentrate on quality upscale. 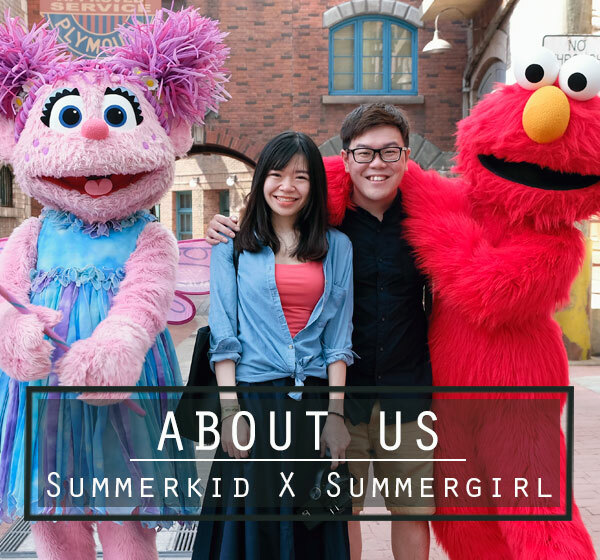 Their business grows and they are now having the sixth branch in SS15, Subang Jaya, which is just opened in February this year. We came across this SS15 branch by coincidence, when we were on our way to Asia Cafe for supper on Sunday night, which was a day after we failed to reach their branch in Puchong.. Zzzzz. So readers, plgase be informed that the 6th branch which is previously located in Bandar Puteri Puchong has been shifted here. We tried out their chilli pan mee the next day, to offset our failure to find the already-shifted-branch. The new branch interior is simple, brightly lit. 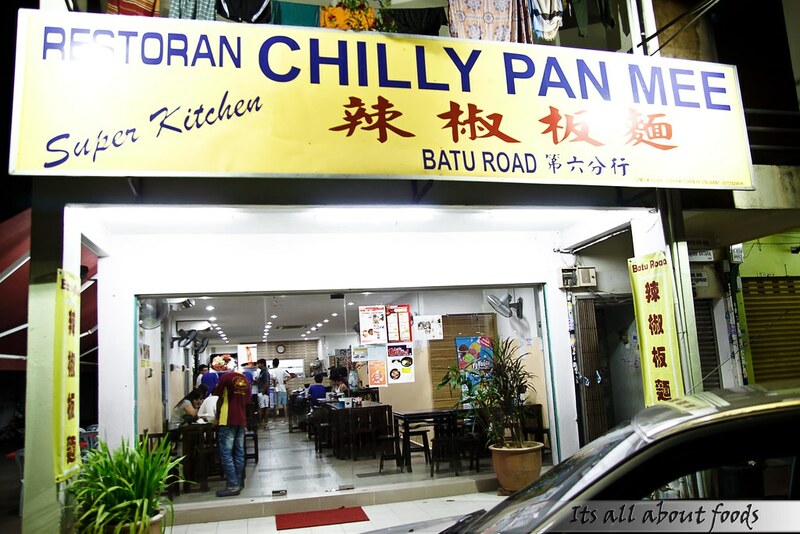 There is not much pan mee choices from the menu, and chilli pan mee is still their signature. The Pan Mee came nicely presented with minced meat, egg, fried shallots, fried anchovies topping the pan mee, making it hardly to be seen. Wondering why there is no chilli in the chilli pan mee? Don’t worry, Super Kitchen gives you the freedom to customize your own chilli pan mee depends on your spiciness tolerance level, by adding in the chilli flakes prepared on each table. Being egg lover, my girl could’t wait to indulge in the runny egg yolk but she hold back once seeing the “How to eat your chilli pan mee” instruction pasted on the wall. 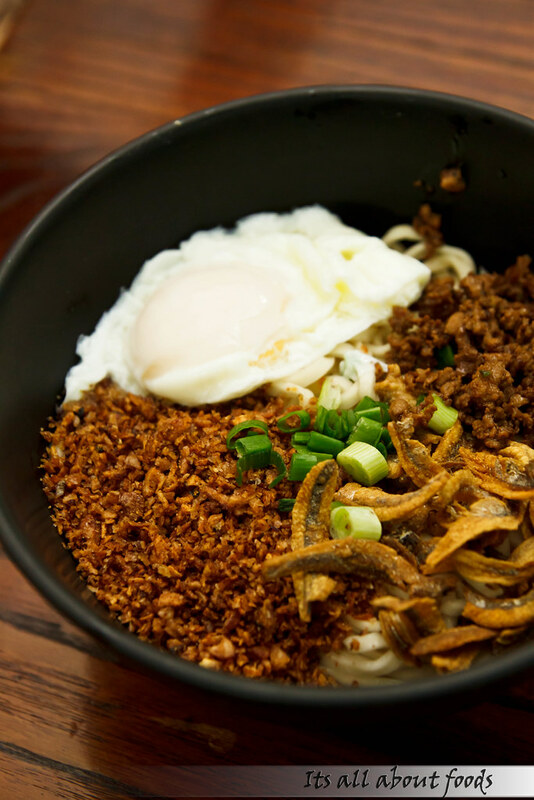 There are several steps that you should follow on: Once the mee is served, put in 1/2 or 1 scoop of chilli directly into the bowl, break the runny egg yolk, mix everything together. Toss toss toss.. and viola.. your chilli pan mee is ready. Upon mixing the runny egg yolk, the strands of pan mee turned creamy and velvety, chilli flakes lights up the taste buds, and the fried shallots and anchovies gave an extra sensation, making every mouthful of pan mee bursting with flavor. My girl couldn’t stop tucking in one mouth after another and was already breathing in fire halfway eating. However, she found the noodles a little oily towards the end. 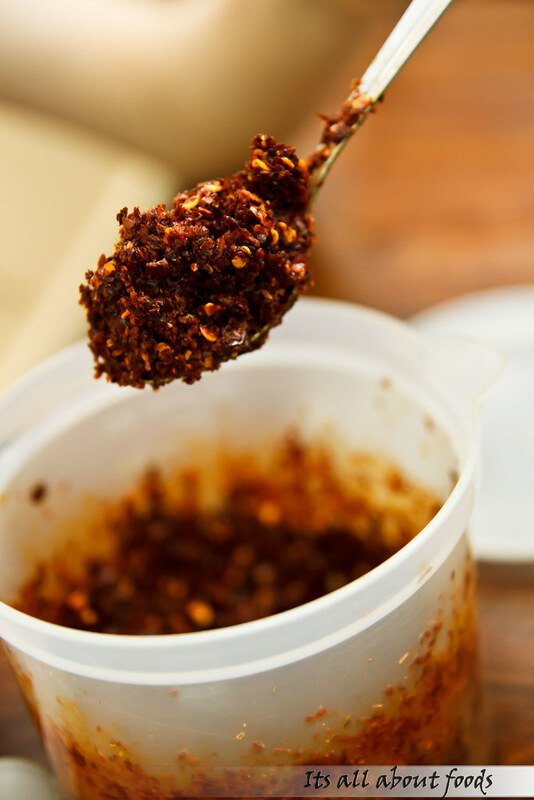 The add-all-you-can fiery chilli flakes, freshly prepared every fortnightly. Remember not to overload your pan mee with chilli as you might ended up having a burning tongue. I had the Pork Chop Pan Mee, which tasted just ok to me. 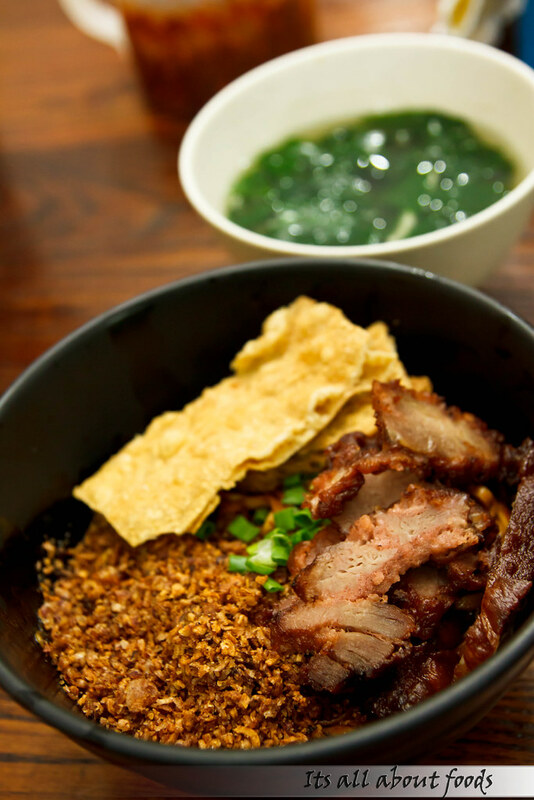 The pan mee was of dry version and tossed with black soy sauce, with addictive pork cutlet, crispy anchovies, fried shallots and fu zhok as toppings. The noodles was way too dry, and I smelt some bad oil taste once I started tucking in the noodles. I only managed to eat half as I couldn’t bear with the bad oil taste. 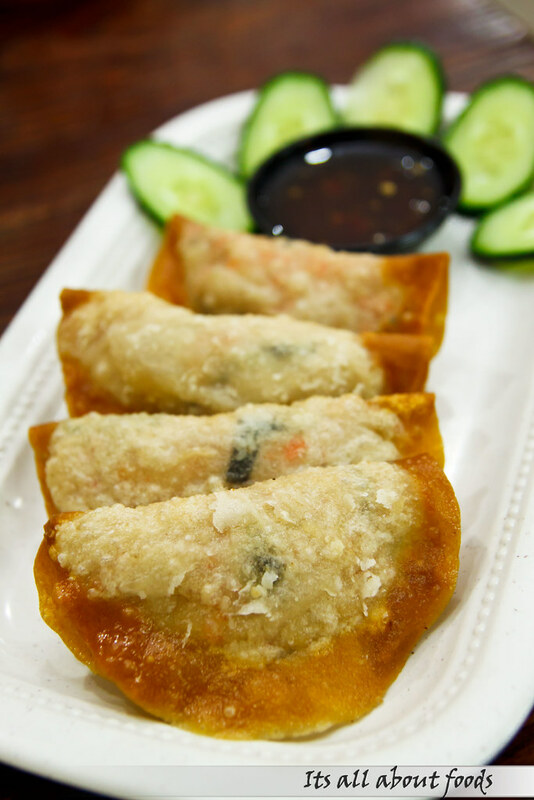 We ordered a plate of fried dumpling to nibble on. Homemade and deep fried, the dumpling was quite delicious and non-oily, but nothing much special. Actually, I wasn’t impressed with their pan mee but my girl said it was not bad. To me, Noodle Village (面香村) in Bandar Puteri Puchong is still my first choice when coming to pan mee, in terms of noodles, taste, variety and portion. Nonetheless, no harm tryijg out their chilli pan mee as the chilli is really spicy, definitely makes you sweat in satisfaction once finish. Like the chili pan mee.. But I still prefer soup base d.. taste truth on their soup..
ohsem! I always love chili pan mee!!! Hi there, chilli pan mee has always been my favourite esp kinkin pan mee. But lately I’ve discovered a hidden gem in Taipan, Subang. It’s called cilicili pan mee specialist @USJ10/1C (same row as Station 1, facing multi-storey carpark). I’ve tried their signature is the hand-kneaded pan mee soup. The cili pan mee is worth trying it. 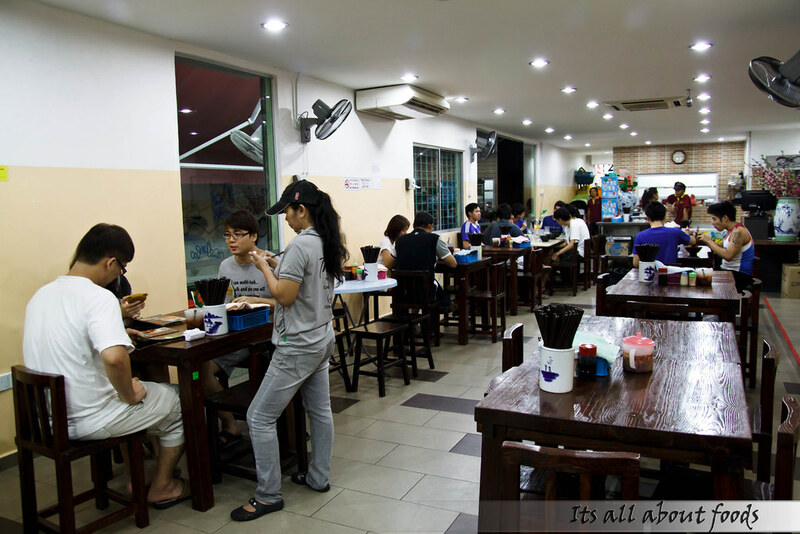 FYI, the shop doesn’t look like the usual pan mee shop, very nice cosy clean place to dine in.